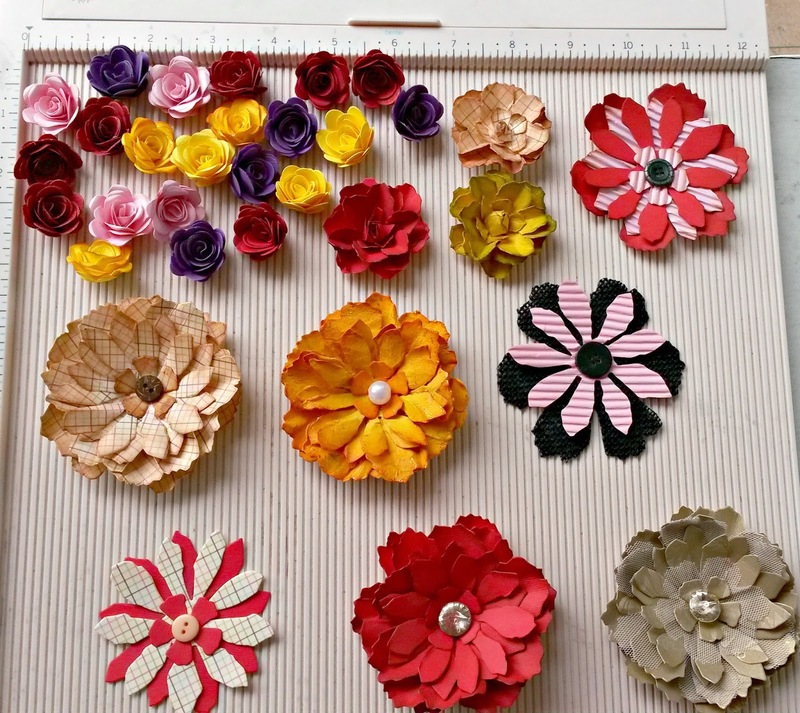 Crafting With Passion: Flowers & more Flowers!! The big flowers are made using Tattered florals die and the smaller ones with Itsy bitsy daisy die. Ya it was the daisy die but still it ended up looking like a Rose, but i love dos small roses, cant really get enough of thos. I hav made some experimentation wid the big flowers like using pattern papers, black burlap, corrugated sheet, net and recycled invitations. I know all u experts out ther use des, its jus dat dis is my first at trying des and i loved doing it, Shuffling things and trying out new combos. Do share ur views on thes flowers and do suggest easy flower making tutes with des particular dies. Thank you for dropping by. Sujana I too love to use the daisy die to make roses!! Your flowers are beautiful, Sujana :) And the colors are very happy and cheerful! Hugs to you! Wonderful Sujana! Love those cute roses :) perfect!